Meet Panda! 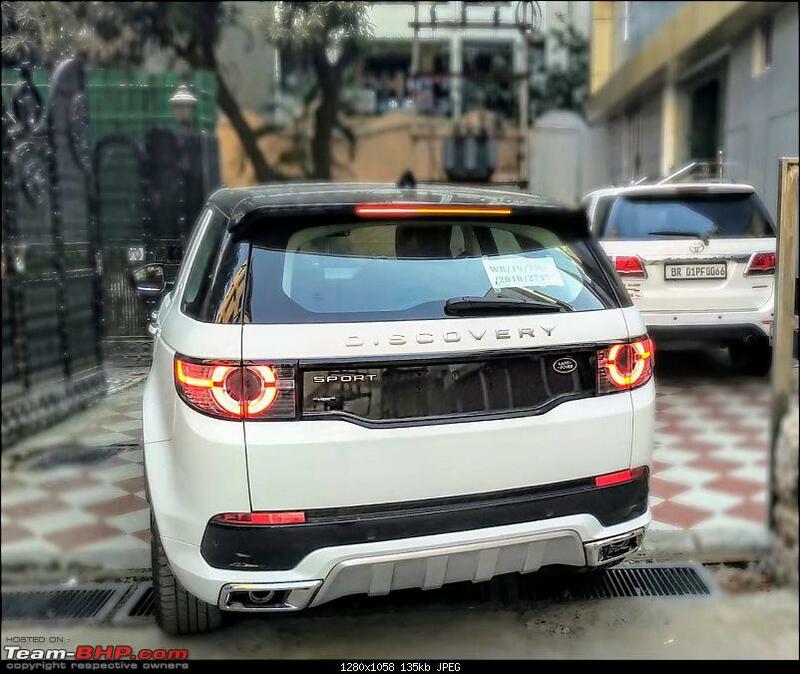 My Land Rover Discovery Sport "HSE Dynamic Lux"
Hi guys, so here I am with my 550th post on this forum, the 500th one was a really special one as I had purchased my F30 replacement and 5-Series rival the new MY17 Jaguar XF Petrol and here while I'm at 550th post I have just replaced my F48 X1 with an MY18 Discovery Sport HSE Luxury by Almighty's grace and customized it by ordering the "Dynamic" front and rear bumper lowers and the grille that comes as standard on the "HSE Dynamic Lux Discovery Sport sold globally. 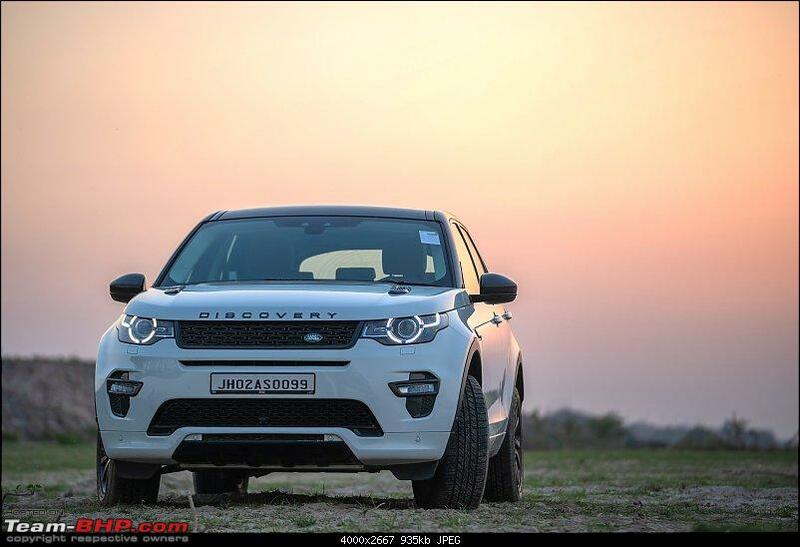 As with other JLRs being sold in India, as great as their modern vehicles are the "trim" options they offer is really poor so IMO the kit did justice to what is otherwise still a tremendous car despite being around for some time. + Very cool InControl "Pro Services"
As with most Land Rovers, the fit and finish of this car just feels more superior than its Deutsche rivals. From the weight and thud of the door, to the perforated windsor leather used, everything feels rich and luxurious even though simple. A combo of simplistic and utilitarian luxury. Something which made me go for this car. 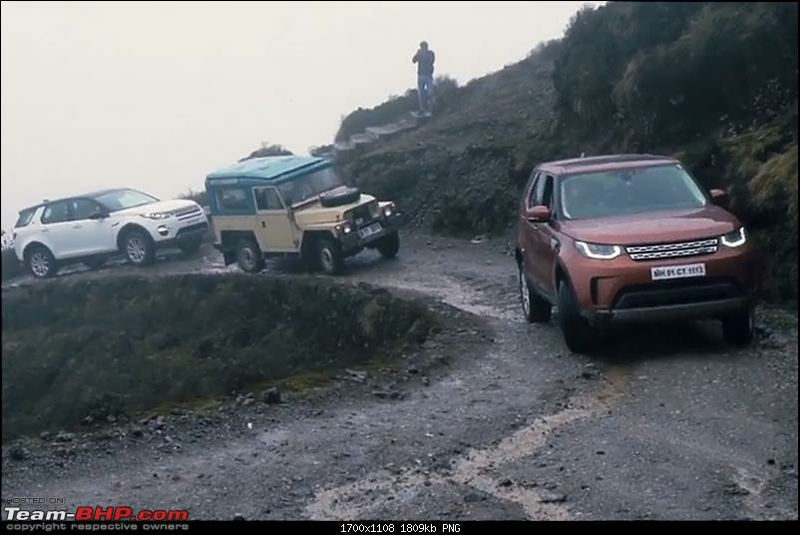 Let us just say in my humble opinion the presence of Land Rovers surely draws just a little more eyeballs towards them than its European rivals and has a distinctive yet simplistic British charm. 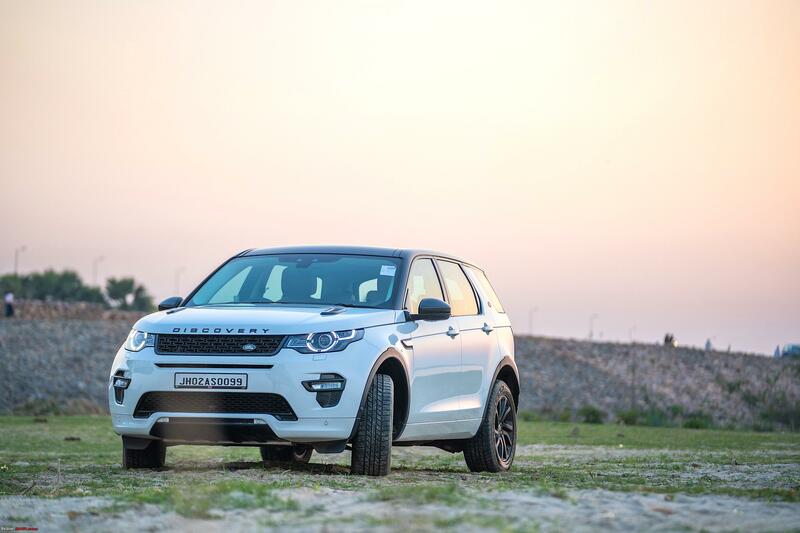 The Discovery Sport is no different with its bad boy yet sophisticated looks, good looking true-directional wheels, and broad stance. The Dynamic package does to this car what ///M Sport package does to BMWs but since "till a month later" I bought my car, this kit wasn't even available as an option in India (surprisingly after a month I bought my car and customized it, JLR now started offering standard Dynamic kit on the top end MY19 HSE Luxury Discovery Sport The sales rep who sold me the car immediately called me when he got one of the MY19 in his stock and was equally surprised. Nevertheless, I'd call it a GREAT MOVE! by JLR. Will share a pic comparing the car with and without Dynamic Kit in the coming posts. 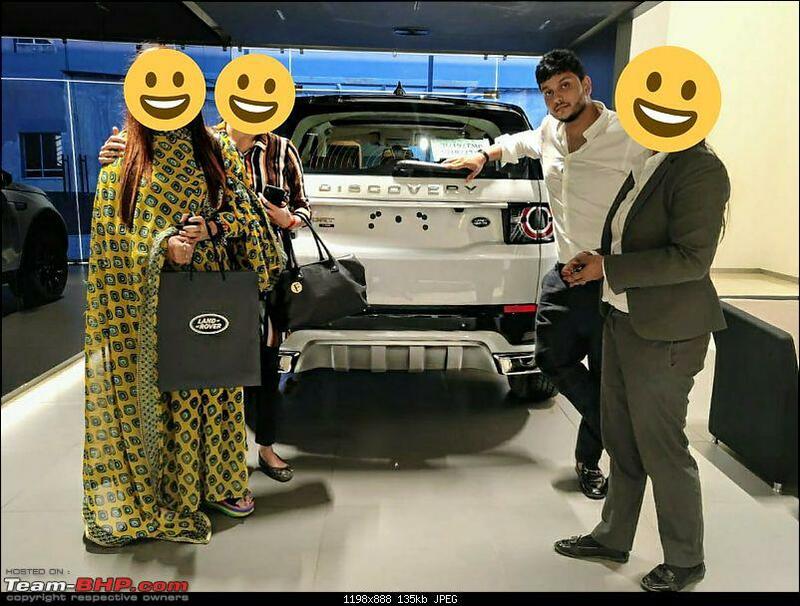 One of the dealer principal who owns a bunch of luxury car dealerships including BMW and JLR once told me a few years back, if its an SUV it has to be a Land Rover and I had booked and cancelled an Evoque then due to claustrophobia and overlooked his words. 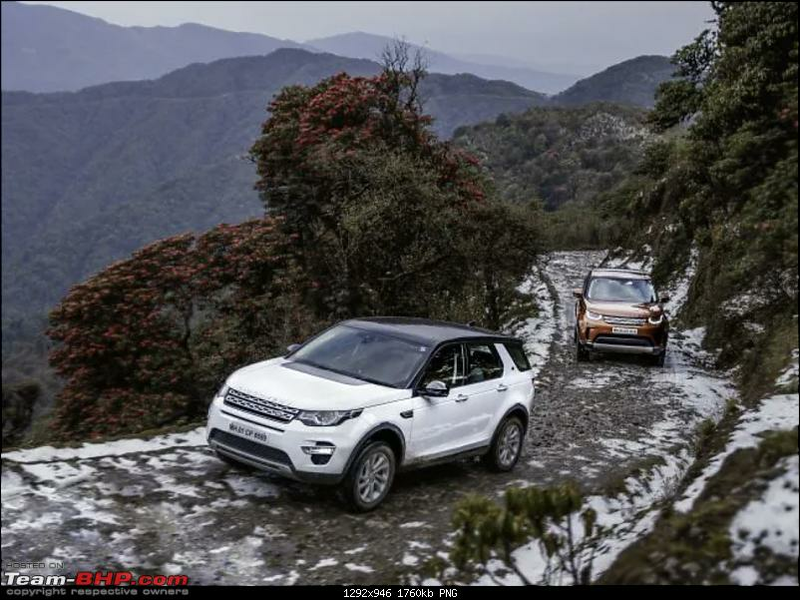 Very recently I happened to be a part of Land Rover Above and Beyond Tour which happened at Aamby Valley. I was just amazed by the performances of these baby Land Rovers and the capability. The terrain response and *ATPC* - All-Terrain Progress Control acts like an off-road expert cruise control and gets you out of any and all possible situation one can encounter on an occasional off-road need. It's just so much fun to take this thing off-road. What's even better or funny is that the ATPC is a cost option on bigger Land Rovers namely the Range Rover Sport and Range Rover Velar but this thing gets it as standard. Great VFM. Nothing much to say here, there's just acres of leg room almost at-par our 7 series with decent thigh room. 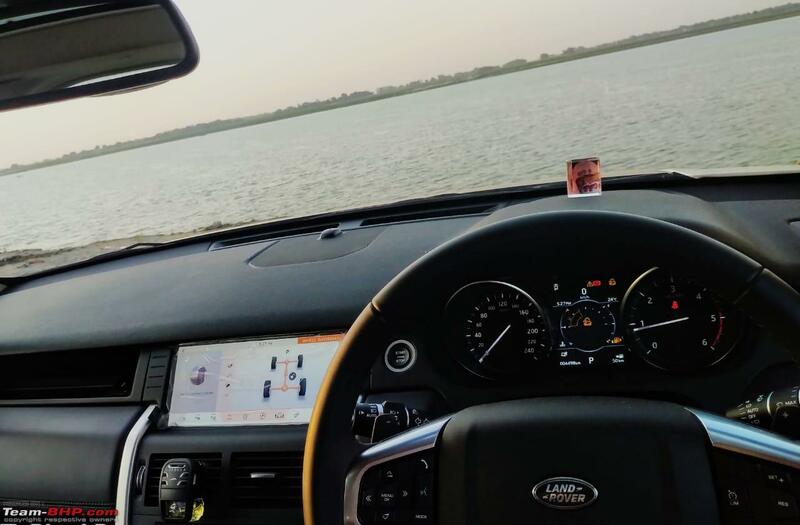 Really convenient when you get to stretch your legs properly and enjoy a comfortable Discovering drive. There's nothing much to vouch about the engine but its fun to use the mid-range in the city and enjoy the continuous surge of torque between the 1800-3500 rpm. Its really enjoyable even though not too fast, not even by BMW 20d standards but does the job in the city and also is a lovely cruiser. One can cruise all day at high speed without the engine breaking a sweat and good NVH levels inside. 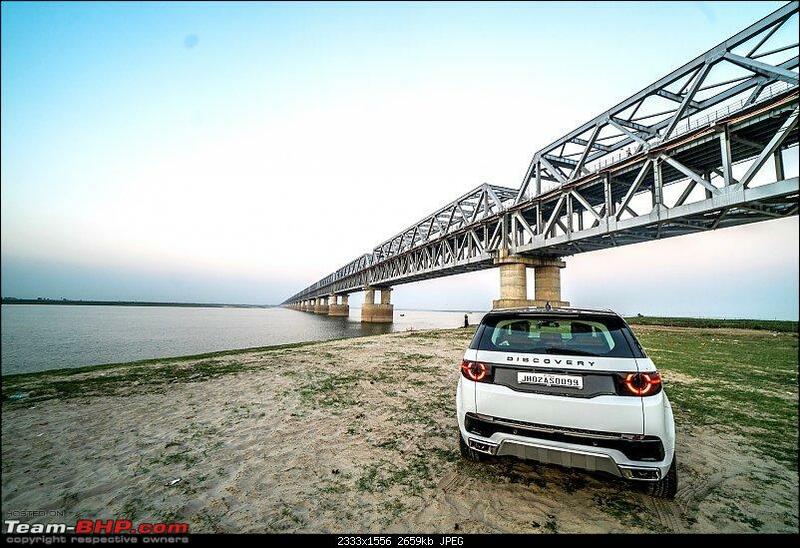 + 5 Year Maintenance @ 50% Discount is offered standard by JLR on all MY17 and MY18 vehicles free-of-charge. 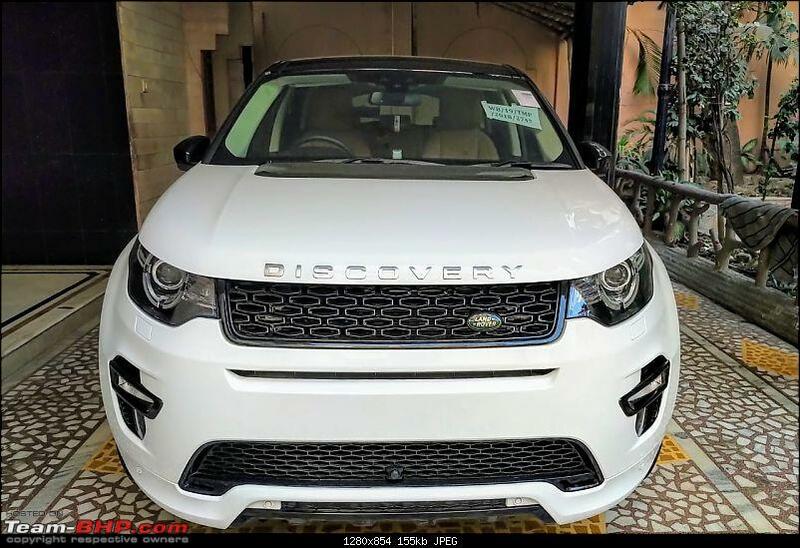 This is something really cool as the first service of my Jaguar XF costed me only 11k all inclusive and a friend's first service of his Evoque costed 9.5k. Such an amount for a premium car service is something that one can only dream of with other brands unless they have a "paid package" sans BSI. 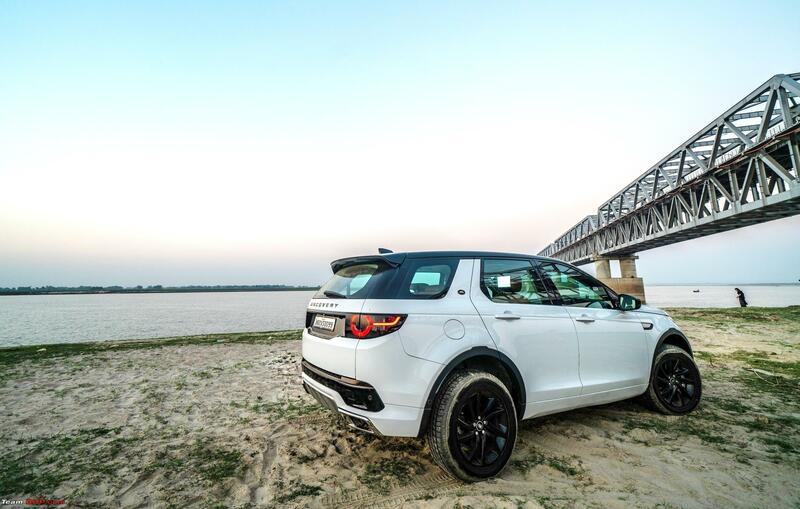 Thumbs up to JLR for including this FOC. Sometimes, simplicity is good enough to be termed as something cool and thats what this is. Its like a no-nonsense (but complicated to set up!) concierge service which also helps you link up your phone to the car for door-to-door navigation and locates your car even if the ignition is off. Also, with the sim card installed you can share your ETA with your saved contacts along with traffic details and the message / mail doesnt go from your personal number but "Land Rover" which seems super cool. I have to admit, the gearbox calibration in this car is a disgrace to the ZF8. It feels like CVT and has a bit of rubber-band effect which can be clearly felt while overtaking. This would be the number-1 dislike I have of this car. This was one feature my granmom was really excited about but as tech-savvy and as simple I thought this to be I found it to be one of the most complicated remote ever. To use it you have to allow from the front infotainment screen and then "select the side" and then it will only operate the rear screens content, if you want to control the radio using it you have to go to "rear media" and choose "radio" then only one can control the radio channels using it. Confused already right? What a pity they made of a lovely chunky looking remote. 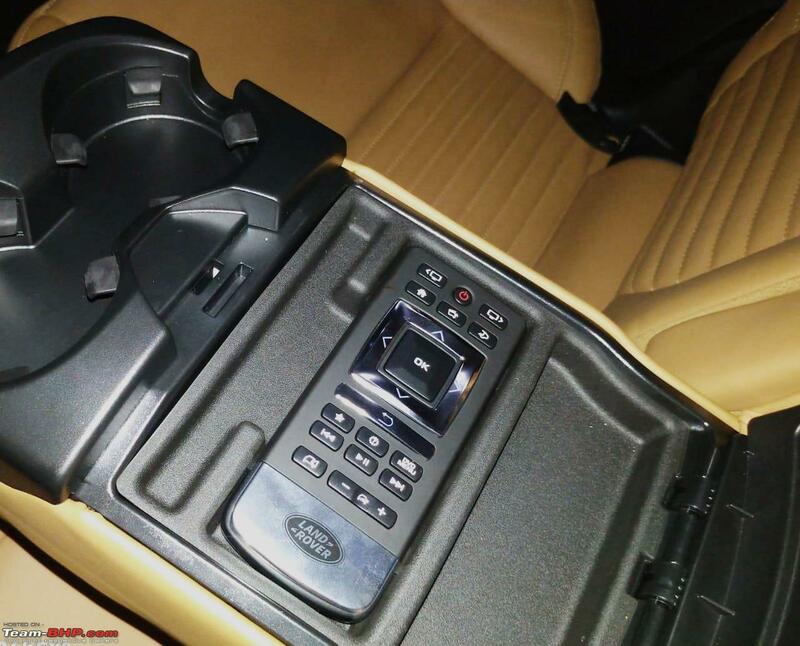 With Velar and XC60 offering state-of-the-art interiors with so much of modernisation, the centre console of the DS has started to look and feel dated already. 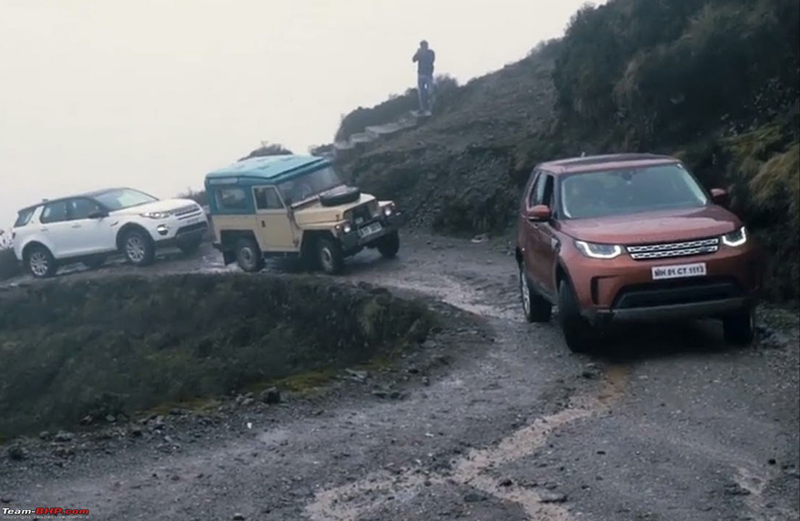 Not that one goes die-hard off roading everyday and even though the vehicle is the most capable off-roader in its segment, period. the lack of a low-range is a disappointing thing. It just feels good to know that its there just like ATPC and other bells and whistles. 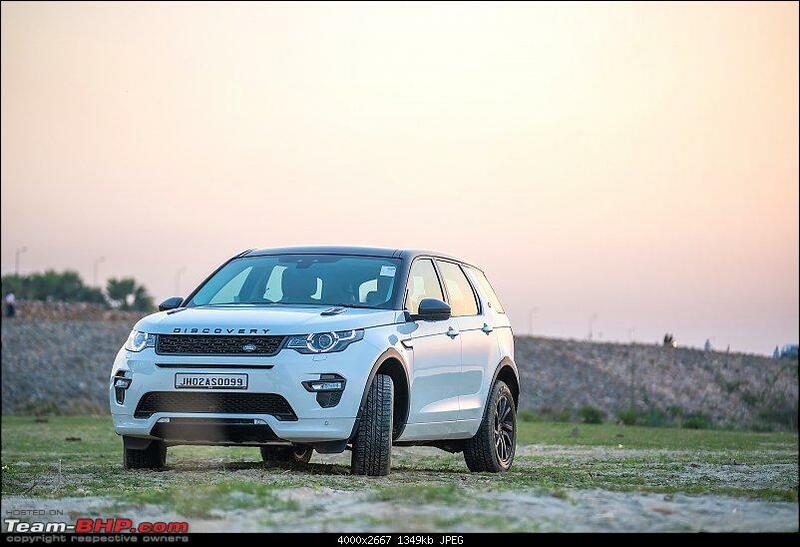 When cars like Fortuner has it its a pity that neither the Evoque, the Discovery Sport nor the Velar not even the Range Rover Sport gets it as "standard". So I have been considering changing my X1 since quite a while, we knew its not gonna work out as the suspension setup, seat-cushioning and rear-seat space was never enough even though it was a very good car otherwise I felt it isn't a good choice for my 66 year old granpa who still commutes around 50 kms daily which sometimes goes higher during the visits to one of the warehouses, I really wanted to go for something more special and get him something from the brand he has secretly admired; namely Land Rover and Mercedes-Benz. The Mercedes soon went out of consideration because as lovely as the GLE is its been around for ages and had a complicated centre console, and by time I was thinking to consider it the all-new GLE was launched globally. What a heck of a car it is but sadly at least a good half a year ago for launch. Second strong contender was the Range Rover Velar. We had initially booked and finalised the Velar SE D180 and wanted the delivery of the car on Dhanteras, even though it wasnt very spacious just the looks of it and the interior design made up for everything. However something or the other kept going wrong. Firstly, the very close business-head of a dealership who was dealing with me suddenly got terminated and when he explained me the circumstances I decided to take a refund and take it from another dealership as it was convenient for me to take the car for almost 4 other dealerships and I was in touch with someone or the other there. I then booked the car from another dealer and paid a booking amount of 10L. I had managed a lovely and dreamy deal on a 2017 model that was lying in the factory for around 14 months. After the loan approval was done I get to know that the car has done around 800 kms, and that created a little bit of discussion at home and secondly I hear another 2 days later that the car cannot be delivered because it has some service action due and some "modules" needs to be replaced. I requested them to kindly refund the money for the time being after that and they immediately did so without any hassle. Almost everyone by now was suggesting that a Land Rover is not meant to be so the plan was a little postponed. 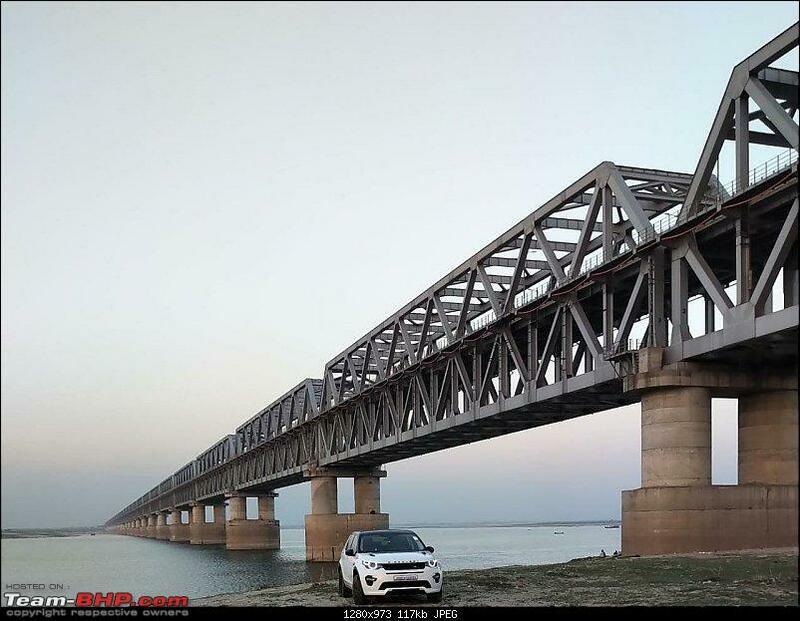 But the next weekend the dealer from whom I had booked had sent a "Discovery Sport" for a test drive to my hometown in Patna. Even though the car wasn't even the consideration they insisted I try it over the weekend. 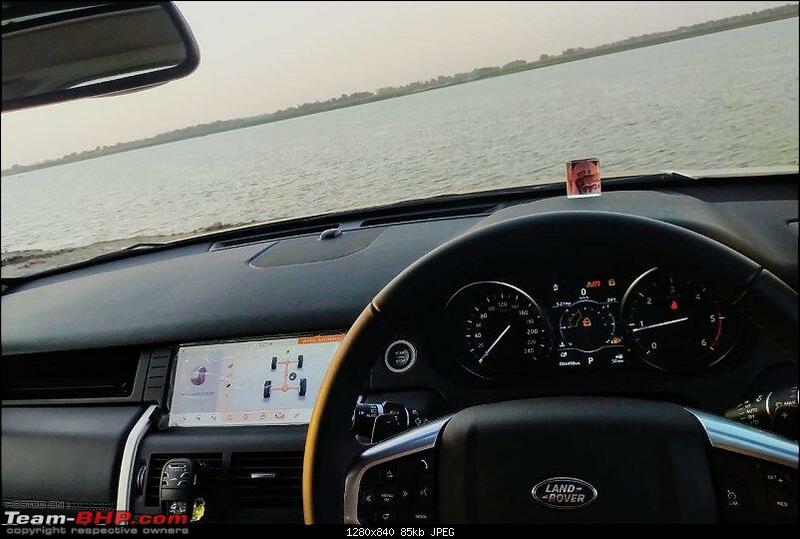 I had by now tried the Volvo XC60 and the Q5, Q7 and the Range Rover Sport and had almost settled on the Q5 despite not being very fond of its design, the bigger in size cars were not so much preferred as it was going to be a daily driver. 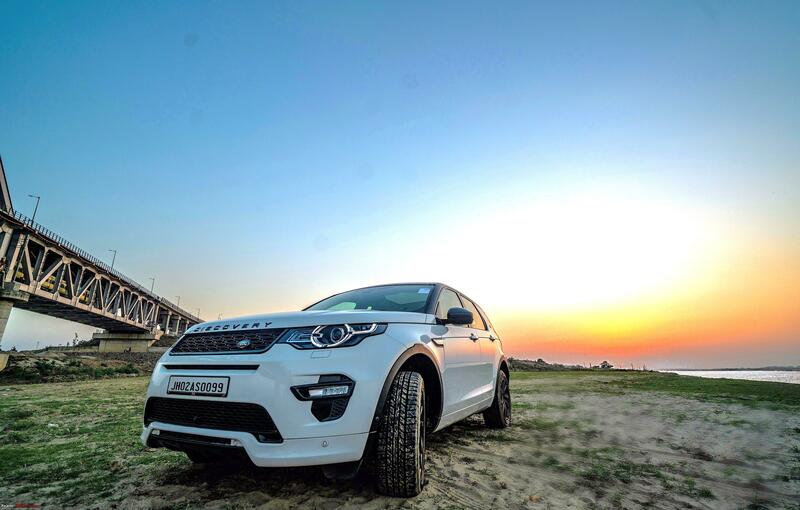 The Discovery Sport was surprisingly an awesome vehicle. The fit and finish, the build quality, ride quality was all so good and to my utter surprise, it rode well over the rough surfaces than the air-suspension equipped XC60. Not to mention the space in the second row was next level and since I was considering the Range Rover Sport as well, I figured that according to the Range Rover Sport options chart the car has an additional loadings worth 15L according to RRS standard (825w Meridian audio system, 360 degree parking aid, humongous panoramic roof, rear-seat entertainment, Windsor leather, leather-wrapped dash to name a few. 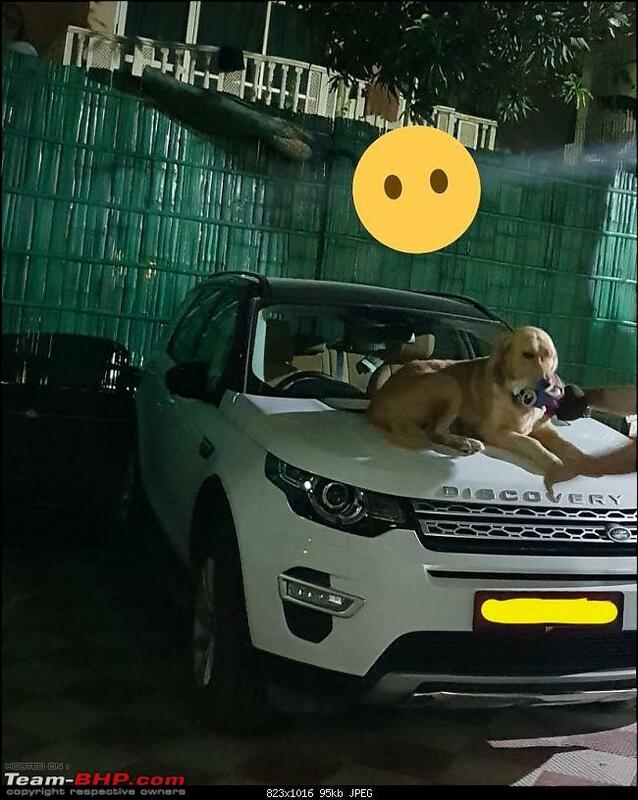 What then, it changed the decision overnight and when confirmed by the sales rep that the car can be delivered exactly on Dhanteras and the fact that Enzo, my golden retriever scratched the bonnet as he was for some reason very fond of the car and had to be literally pulled down from the bonnet we decided to avoid the the embarrassment caused by my beloved and go-ahead with what is a really VFM, no-nonsense yet stately and Enzo approved Discovery Sport. 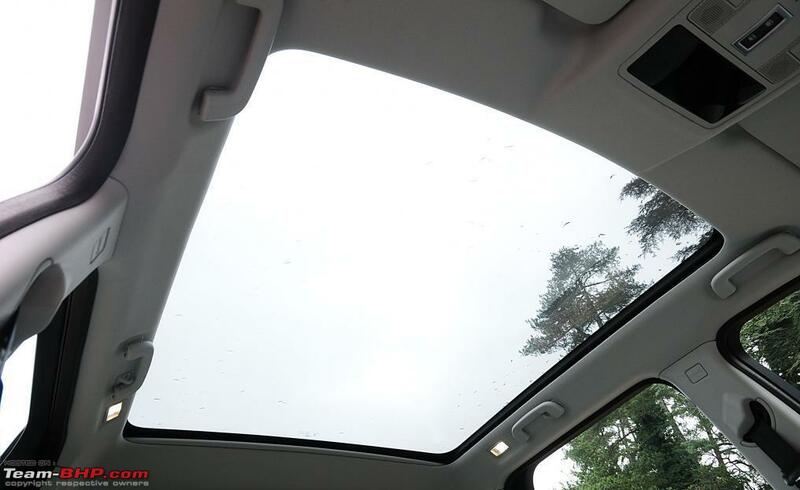 Getting inside the car and speaking about the cabin; you are welcomed by a huge sunroof and a massive windshield which adds a great amount of visibility and reminds you a bit of a greenhouse that we studied back in school. There's ample of space in the 1st and 2nd row with a good amount of support from the seats and acres of legroom (one of the major reason for choosing this over the Velar and few others). 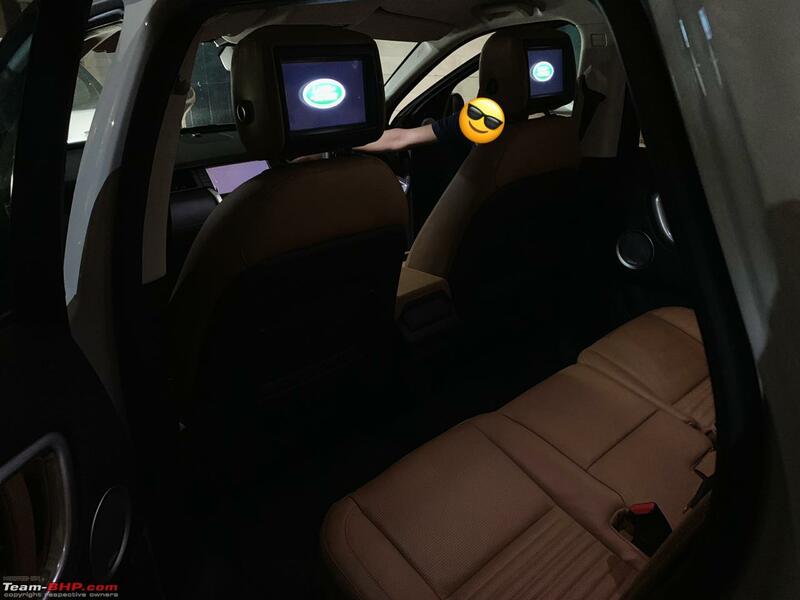 The seat upholstery is made up of high-quality perforated Windsor Leather and feels very premium and both the front seats get memory function other than being completely electrically adjustable. 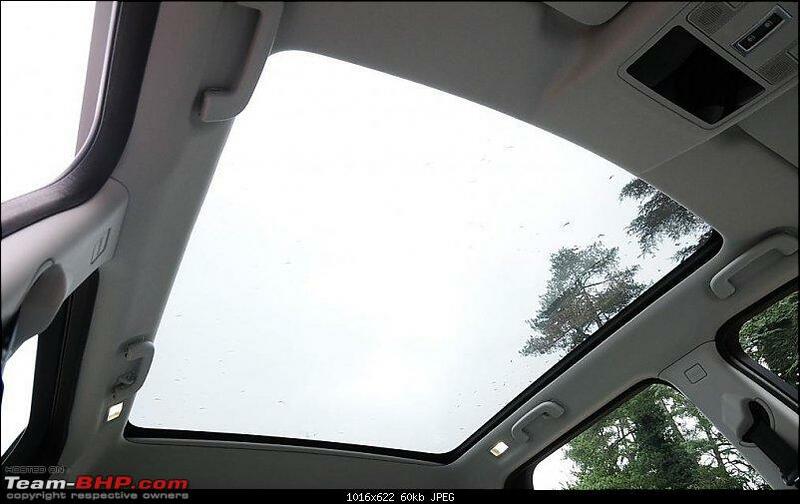 Heated and Cooled feature is sorely missed and it's a pity that except Volvo nobody is offering it in the segment. 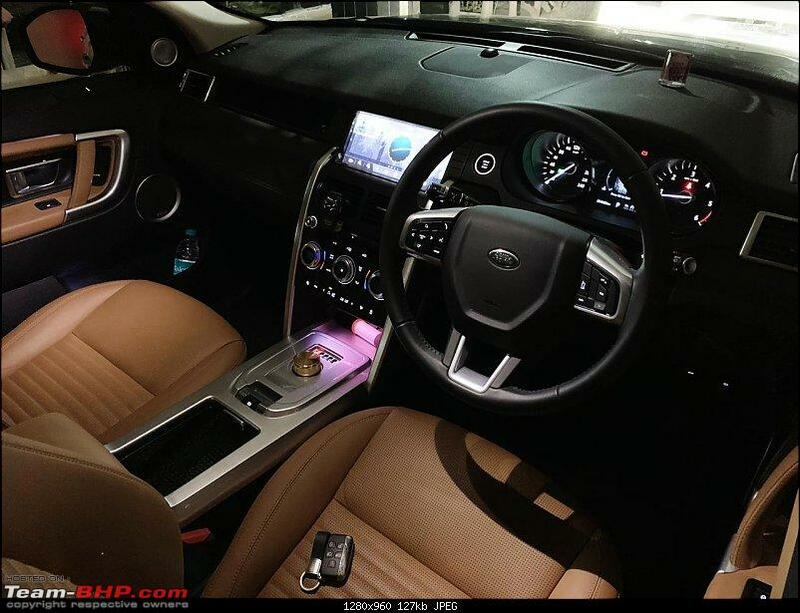 The MY18 HSE Luxury model also gets Windsor Leather treatment on the front dash. 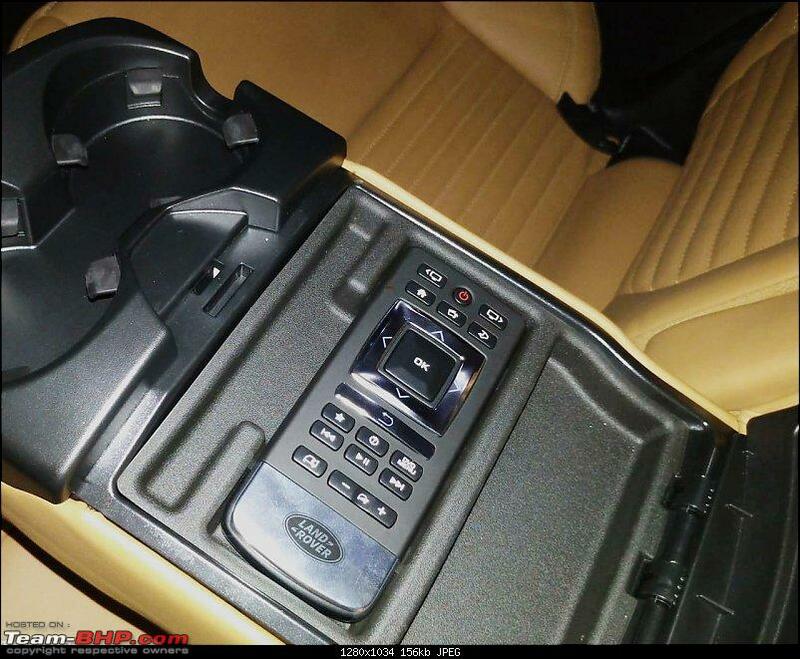 The centre console, however, spoils the party and looks plain and plasticky in black and somewhat a big let down for what is otherwise a good and utilitarian cabin. I have added a metal chrome garnish and metal chrome gear selector to take care of the boring part to some extent. Coming to the 2nd row seats the airiness and ample of room continues and the humongous sunroof further adds to the premium feel. The rear screen whenever it works makes it a joy to sit in the second row and gives a premium experience. 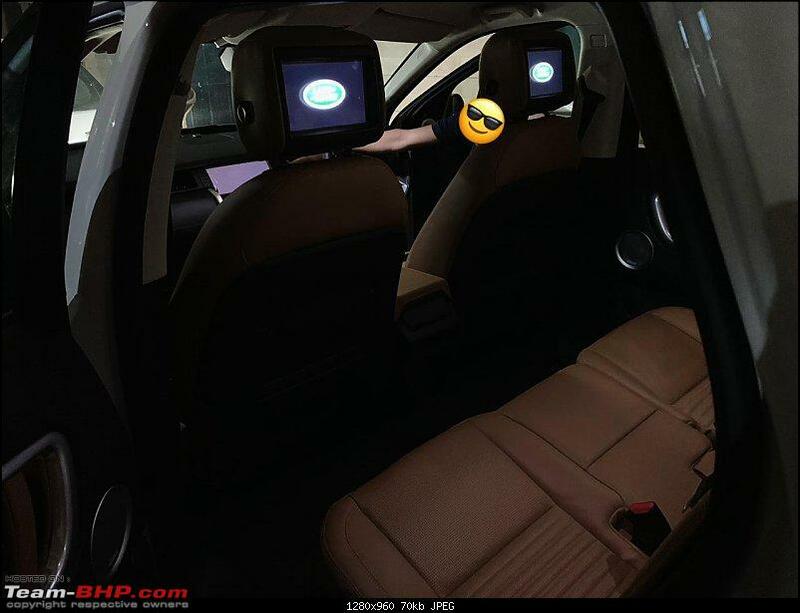 The third row is best left to kids but very much usable for a 6 footer as well for short journeys thanks to the dedicated AC vents and its control however accessibility could have been better if the 2nd-row seats folded away completely like that of Innova or Fortuner. Only the backrest folds and the seats slide in front to get access to the 3rd row which a lot of people might uncomfortable to use. 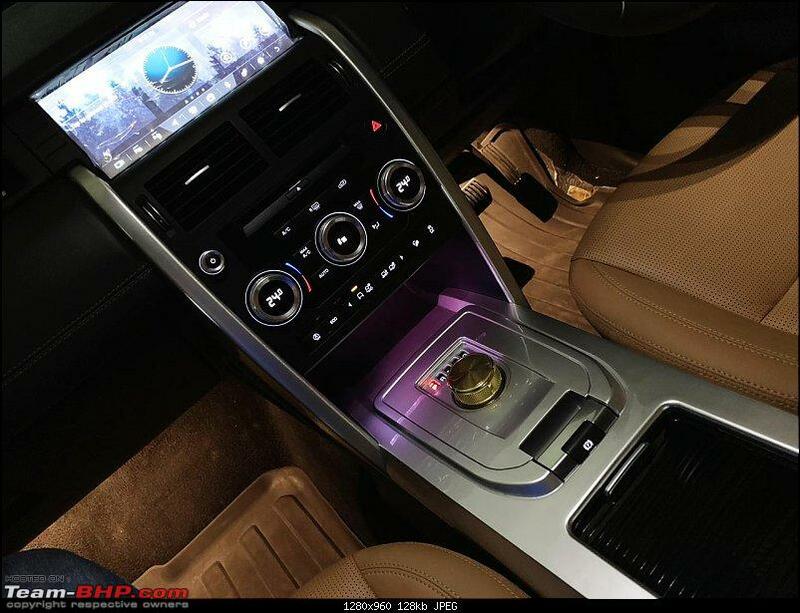 Further talking about the AC, I feel this is one of the cars which is too sensitive to the temperature inputs. For e.g. even if the AC is on and you change the degree by even 1 centigrade the warmness or coolness will change immediately and unlike other cars, we have to precise of what we want. For e.g., if the AC is on at 24-degree centigrade in March's lukewarm summer the AC will feel insufficient so you gotta turn it to 20-21 degrees. This is something I really haven't noticed on other cars. Overall, this car's cabin walks the line between functional pragmatism and utilitarian luxuriousness. The plush ride quality and good NVH levels further makes it a great place to be. Even on rough patches where the BMW F48 X1 gave lots of 'thuds' inside the cabin this more over makes the sound of a softly thrown pillow on the ground which makes it feel like a worth upgrade from the X1. I have further added Dynamat sound deadening pads in the doors in a good amount which has further taken the NVH levels down. There's very little road noise post this mod and one can just play soft music on those 825w Meridian Speakers and not hear anything happening outside and just cruise on. 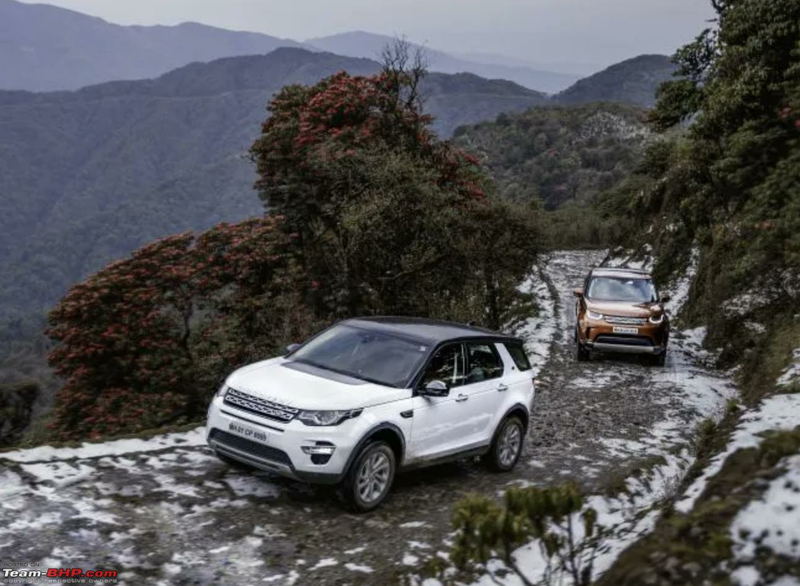 The Grass Gravel & Snow = Traction Control intervenes early to prevent tyre slip, gear changes are sped up and the accelerator response is softened to help avoid loss of traction. Hill Descent Control is automatically engaged when needed which can be further controlled by the controls at the steering wheel. Mud Ruts = The traction control system is optimised to allow controlled tyre slip, which provides the best traction in slippery conditions. This is somewhat equivalent to what a single press on BMWs does to traction control. Sand = This one acts like a stage-1 remap and reduces the turbo lag to almost zero and softens the steering. The car responds rapidly to accelerator inputs in this mode for that momentum thats needed to drive on sand. The upshifts are late and the car hold revs longer when in this mode. 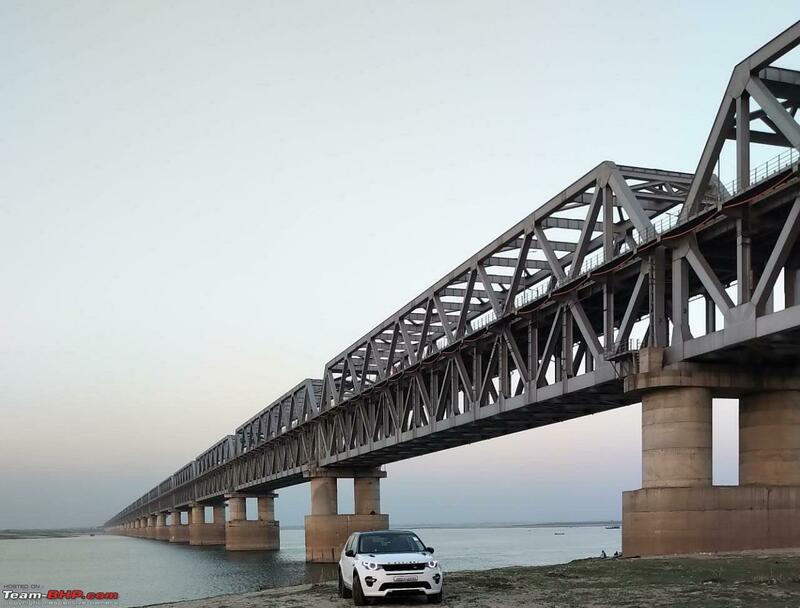 I have down around 5k kms with the car and its been a joy to live with it and knock on the wood the car other than sloppy remote-control everything is working like a charm which was a bit of concern after knowing about how some older Land Rovers threw surprises every now and then. This is it from my end, its AdiSinghV12 signing out with some pictures exclusively clicked for team-bhp by my photographer and petrolhead friend Saurav Anuraj. Enjoy and if there's anything that I can help you with feel free to PM me or comment below. 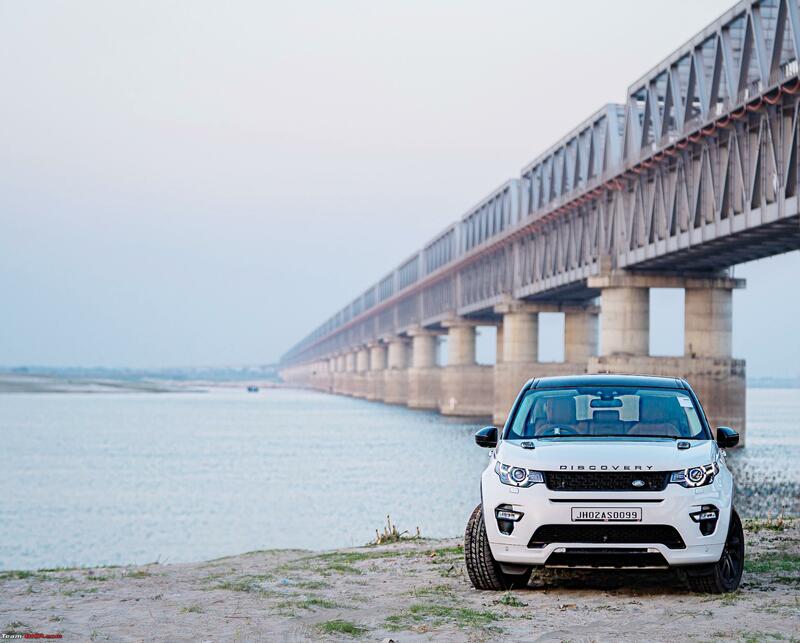 Congratulations on the new discovery sport . Safe driving . Why do you say complicated remote ? Can you share a picture of it ? re: Meet Panda! 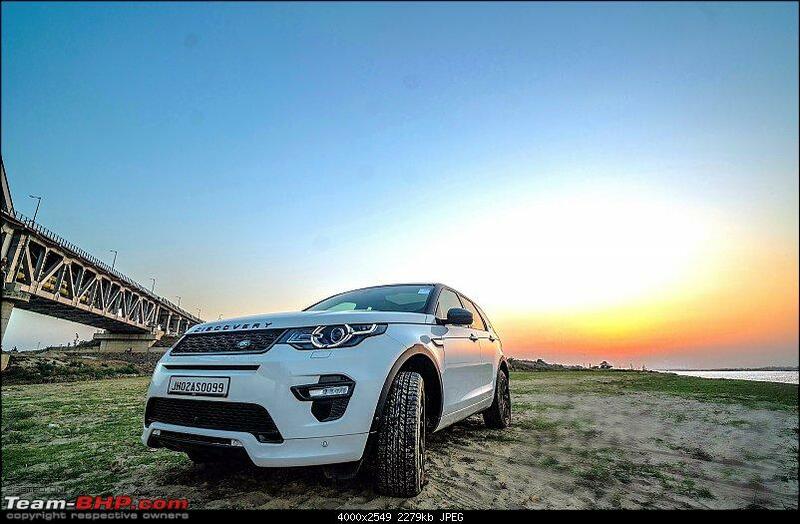 My Land Rover Discovery Sport "HSE Dynamic Lux"
The dynamic bumpers really make the car stand out. 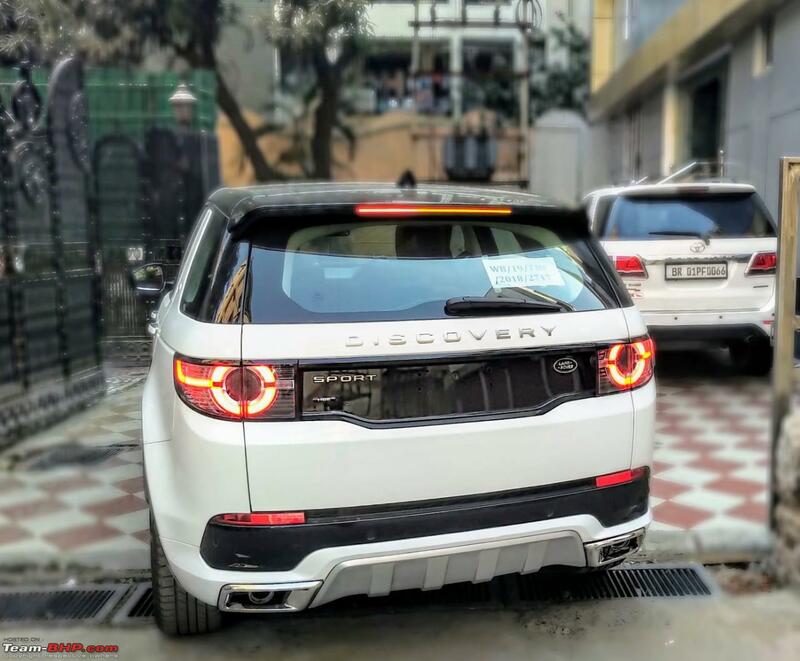 The discovery is indeed a great option in the price range, not to mention its VFM. And, about the bumpers, how exactly did you order them and get them fitted ? was it through the dealership or did you get it imported from an factory overseas ? Wishing you many more happy miles with it. Good choice of car. 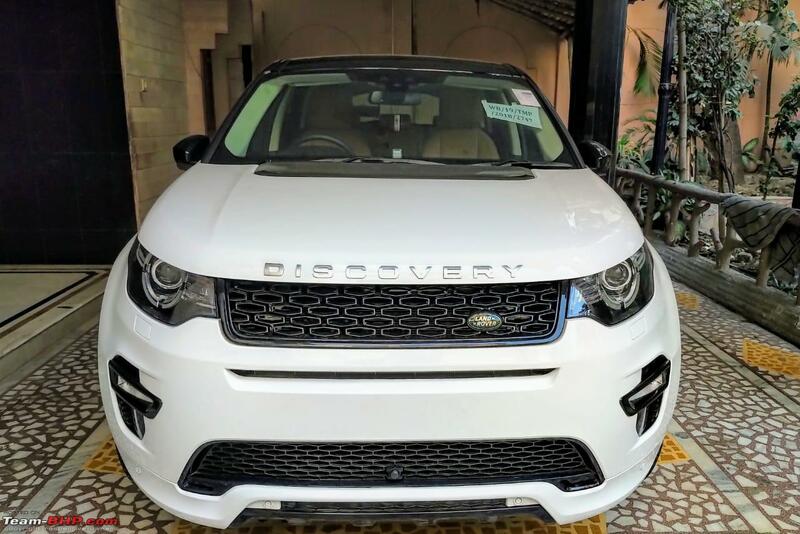 I have loved the Discovery Sport since I had a look at it in the 2016 Auto Expo. It's been around for more than three years now and I still feel it's the best looking car in its segment. The modifications you have made to it make it look even better. Though I liked the rather simplistic interior design, I thought the feel of some of the plastics was just not good enough for a car of this price. That said, everything felt like it would last really long. The Meridian audio system is brilliant as well. I feel JLR is struggling a bit with its engines since they started using their Ingenium power plant instead of the Ford units. Hope they have sorted things out. The automotive world is unforgiving. Wish you many happy miles of motoring. Congratulations! I just got an email from Landrover with some attractive EMI plans. 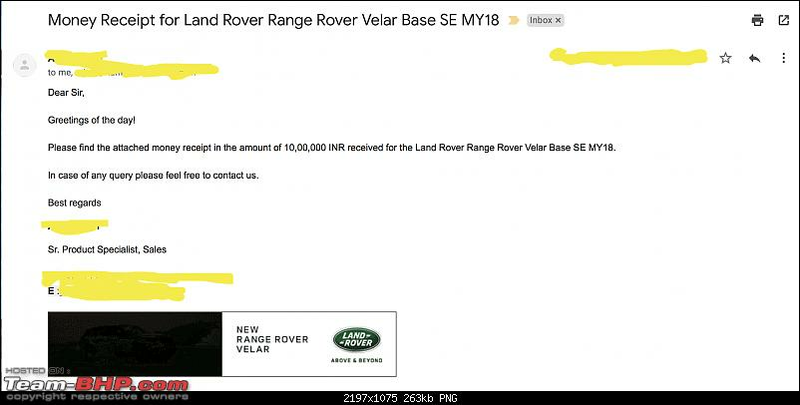 I know Landrover discounts heavily but are these discounts or clever marketing tactics Annual bullet seems likes the annual lump sum. Is the retail benefit the discount? Retail Benefit is the discount upfront. There is a fine print which seems to be missing here. The EMI and Annual Bullet amount is calculated considering a residual value of at least 15 Lakhs of existing car. This implies that you would have to trade in your existing vehicle and the valuation should come upto 15 lakhs at least and then only the EMI and Annual Bullet would be effective. Quite a bit of fine print there. Ahem, we also were there !!!!! 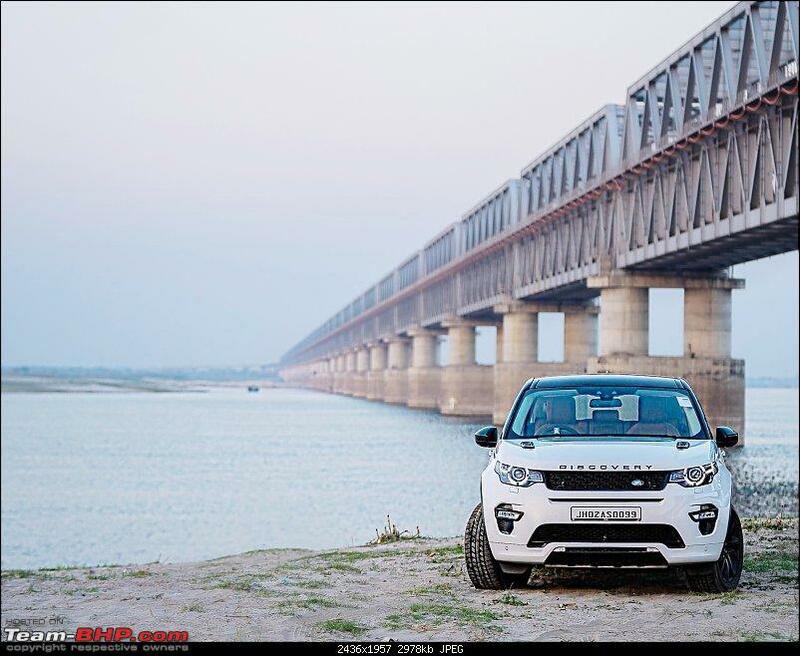 One day I dream to take a Land Rover up there and beyond. 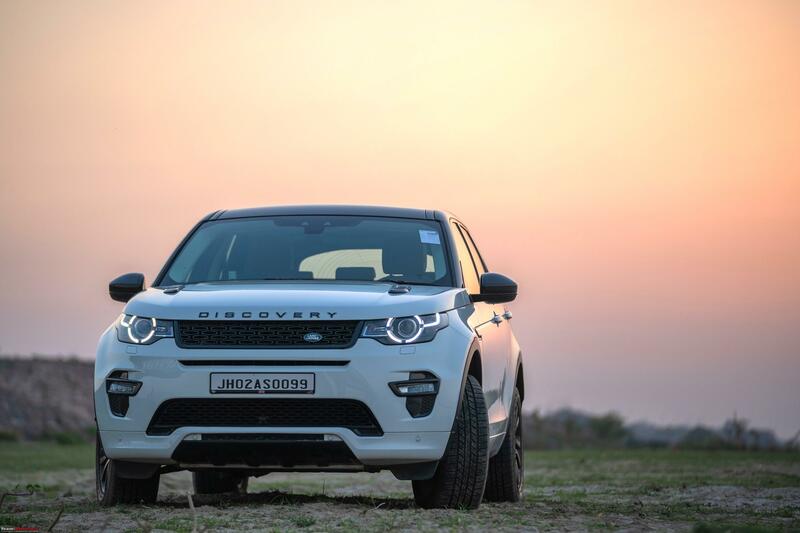 The Discovery Sport is a lovely SUV. 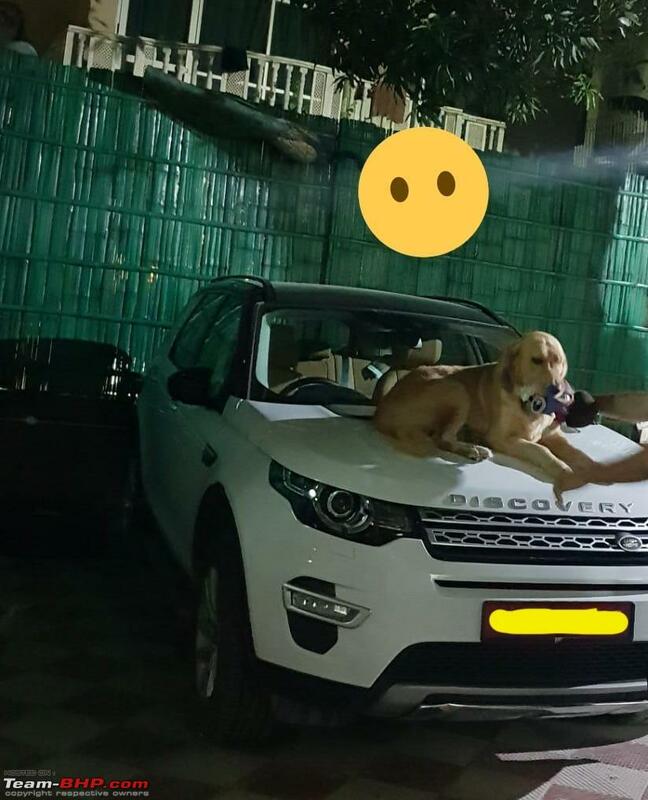 Been using a Disco Sport HSE Luxury daily since December 2015, done almost 40k kms on it now. 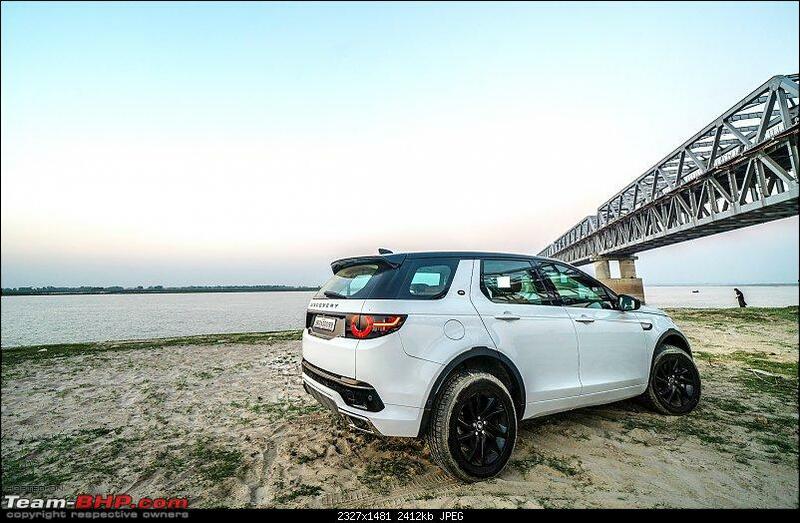 Pretty capable, reliable, luxurious enough and ticks most boxes. Surprised you found the gearbox to be sluggish. 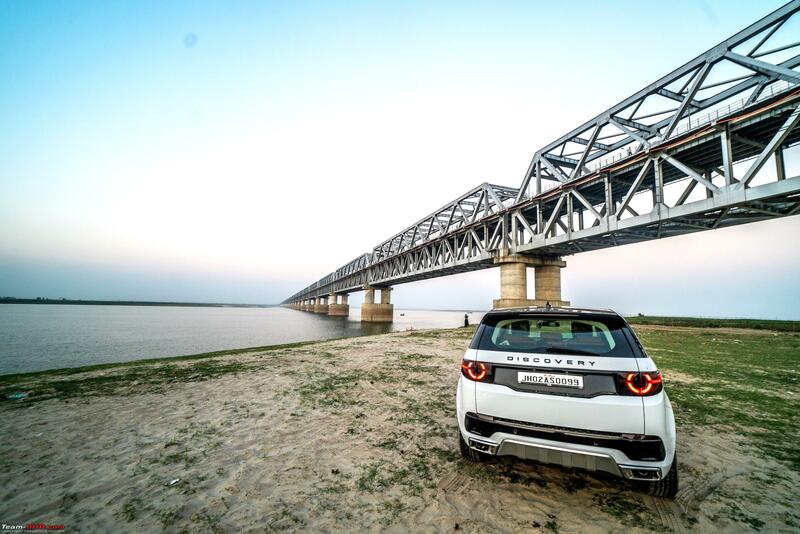 Infact JLR makes one of the best gearboxes in this trade. After being a long term user over these 3.5 years, I guess the only cons of this car are the brake pads wearing out every 10k kms and the constant rattling from doors. 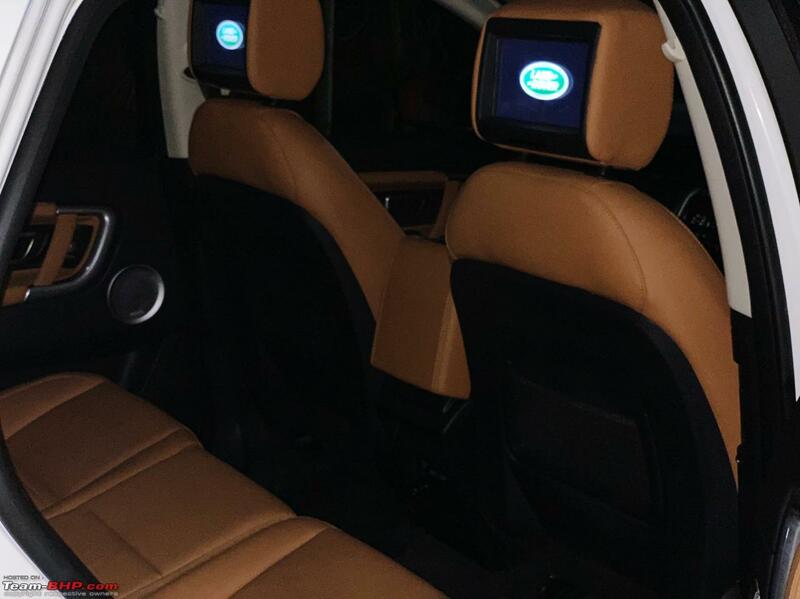 I have a Discovery Sport HSE Lux edition and it came with the 17 speaker Meridian setup with Two screen in the back. The issue I've been having is how to get the Car Navigation to show up in the back. I know the dealer had mentioned I could do that and the remote button also has a Nav option but, whenever I press that I get a message along the lines of Route Not Set even though Nav is on and route has been set. My appreciate your advice : )!